In a post in Microsoft's Windows Experience blog, the tech giant talks about how to make Windows 8.1 feel familiar for new users. 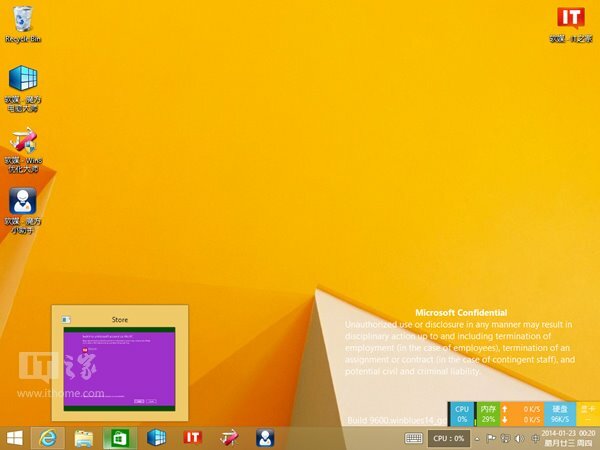 "Let’s face it: Windows 8.1 looks a whole lot different than Windows 7 or Windows XP. I mean, the desktop we all know and love is still there (awesome!) but the Start screen can take some time to get used to. " coveys the intention behind this post. Microsoft wants to make consumers who have upgraded from older Windows to Windows 8.1 feel home. Of course, Boot to Desktop is the first feature which comes into mind when making Windows 8.1 work like old versions of Windows. The post continues to say that pinning your desktop apps to taskbar is still there so Windows 7 users will feel a lot better with this feature. Using the desktop wallpaper as your start screen's background is also a useful features as it the transition smoother. 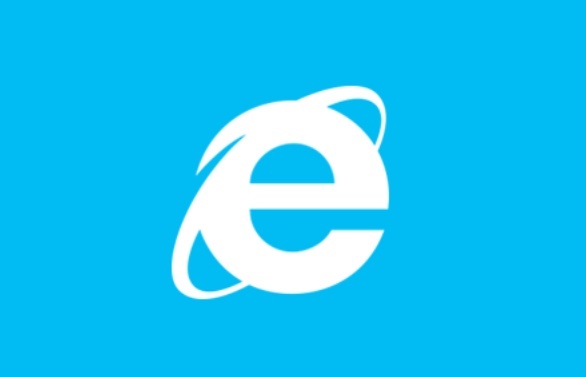 Opening Internet explorer in the desktop mode by default is a awesome tweak so that the new users land on the familiar version of internet explorer. You can read the blog post for more tweaks ! 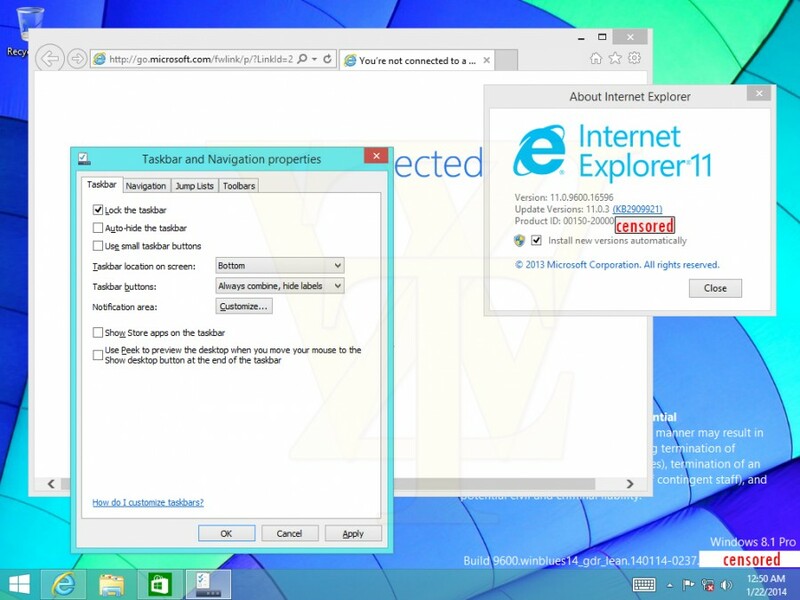 Modern apps can be pinned to taskbar in Windows 8.1 update ! 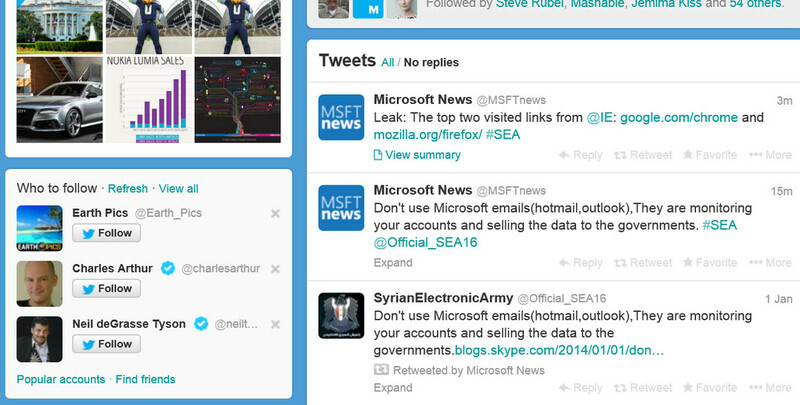 A new screenshot of the upcoming Windows 8.1 update 1 shows a new and really useful feature for desktop users. The new update has a new option under the navigation properties which will let you pin your favorite Modern UI apps to the taskbar. It's still unclear if we can run the apps in Desktop mode but one thing is for sure, you can go your favorite by pinning it to your taskbar which makes the taskbar more productive. Most probably, there will be an option to close the apps using the right click context menu of the pinned app. 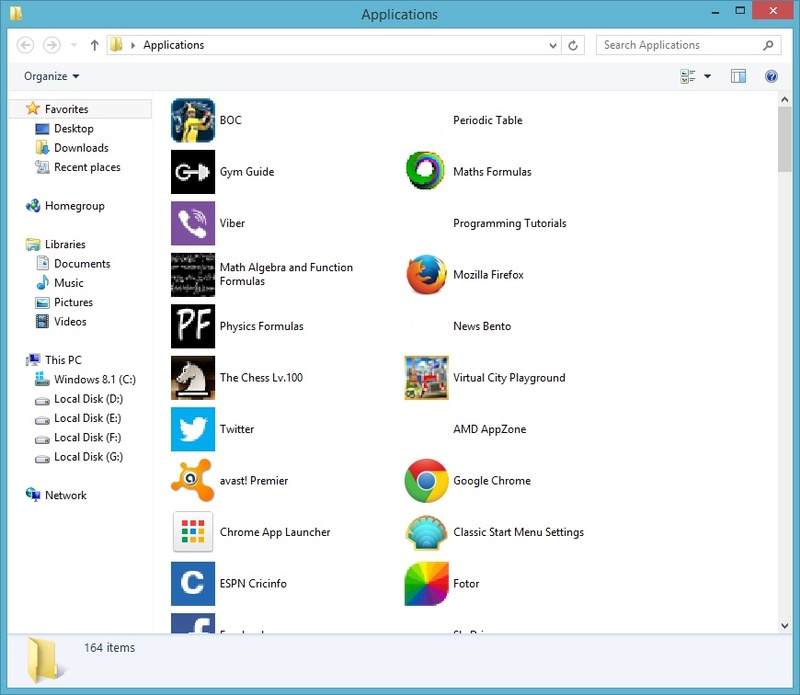 Also the taskbar will all the running apps so that you can shift between them without using the hot corners. 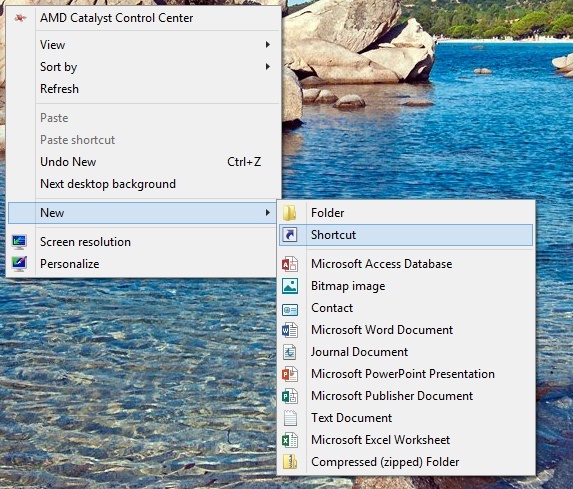 This is a great feature which will make Windows 8.1 more easier to use. That makes the taskbar more productive and powerful ! 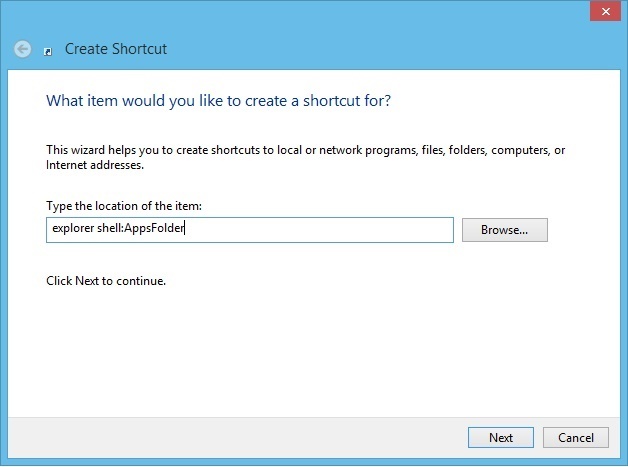 A killer feature for Windows 8.1 users. Still no sign of a Mini Start Menu, which isn't actually expected to make an appearance in Update 1. The full buildstring reads 6.3.9600.16596.WINBLUES14_GDR_LEAN.140114-0237, which was compiled on January 14 2014. 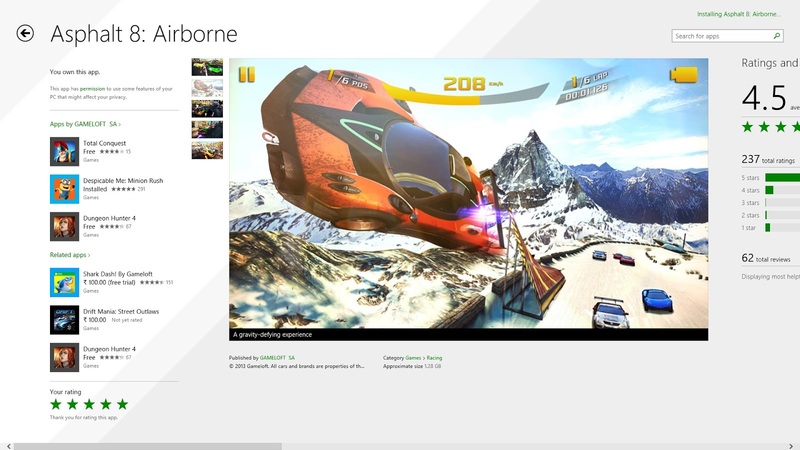 Gameloft, the company behind the most popular gaming titles in Windows Store has made Asphalt 8: Airborne free for Windows 8.1 users. This game is the latest incarnation of Asphalt series. The app offer great gaming experience with immersive graphics with full support to both Windows 8.1 and Windows 8.1 RT. The game has an overall rating of 4.5 stars which show that this app will become more popular now because it's available for free now. You can get Asphalt 8: Airborne from the store right away. The mobile version offers the same gaming experience as in Windows 8. It is also available as free app. "*****LEAVE GRAVITY IN THE DUST*****The best arcade racing game series reaches a new turning point! Perform dynamic, high-speed aerial stunts in an intense driving experience powered by a brand-new physics engine!" the app description reads. All of you know that Windows XP is set to retire on April 8, 2014. Microsoft is trying to move as much as users possible to Windows 7 or Windows 8 as the modern OS's offer better performance and security than the twelve year old OS. But the migration process is very slow as the market share of Windows XP shows it. So Microsoft is talking about the risks of staying with XP after it's retirement for both consumers and business customers. Microsoft in a lengthy post in their Microsoft in Health blog explains about the need of migrating to Windows 7 or Windows 8. "It’s time to move on, not just because support for Windows XP is ending and analyst firms such as IDC recommend it, but also because the new Windows—whether Windows 7 or Windows 8—offers the opportunity to help you better meet the needs of today’s mobile health professionals." Microsoft is set to hold its Build 2014 Developer Conference at the Moscone Center in San Francisco from April 2nd to April 4th, and registration for the event opens today, January 14th. 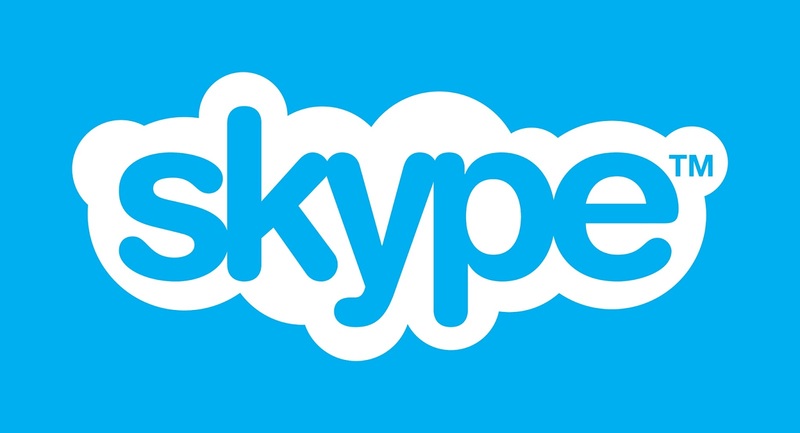 Microsoft is reportedly planning to release Windows 8.1 update 1 or Spring GDR update for Windows 8.1. 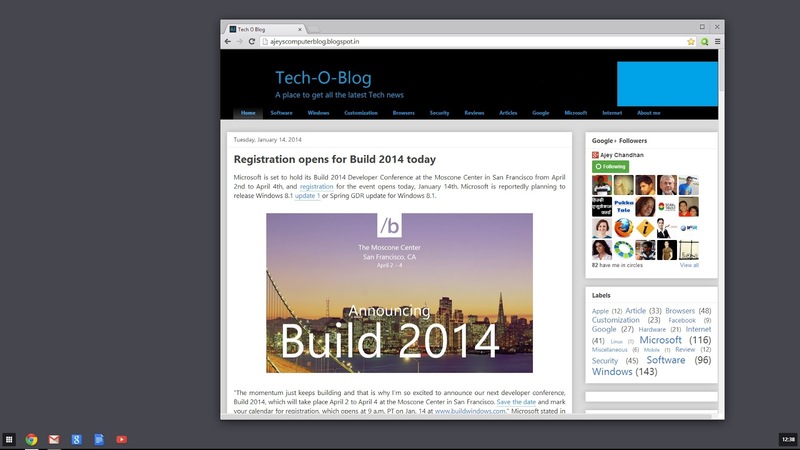 "The momentum just keeps building and that is why I’m so excited to announce our next developer conference, Build 2014, which will take place April 2 to April 4 at the Moscone Center in San Francisco. Save the date and mark your calendar for registration, which opens at 9 a.m. PT on Jan. 14 at www.buildwindows.com," Microsoft stated in an official blog post back in December. The tickets are priced at $2095 which might look quite high but remember last year, tickets got sold within 24 hours. So if you are planning to go,then register as soon as possible ! Developers can create new experiences to reach hundreds of millions of devices on people’s desks, in their pockets and in their living rooms. The first thing that comes into mind when talking about Windows 8.x is the missing start menu. In fact people seem to go crazy without the start menu.Windows 7 was the last OS which shipped with a start menu, Windows 8 is completely different from previous versions of Windows. Microsoft designed this OS for both touch and keyboard-mouse combo . Touch users love the new interface but other users don't like the idea of one OS for all the devices. 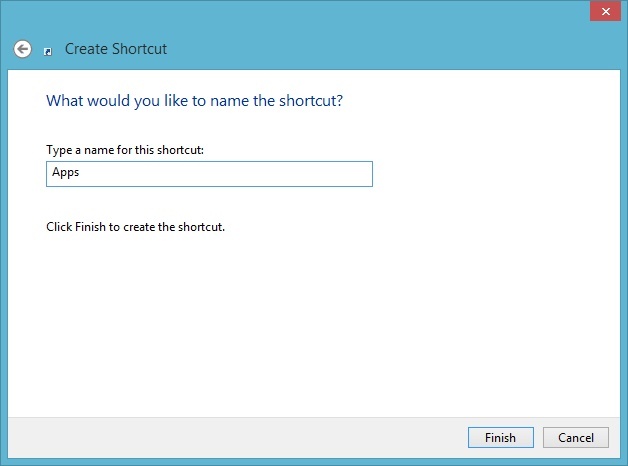 Windows 8.1 brought back the start button with a improved the context menu for Win+X which shows the power option such as shutdown. 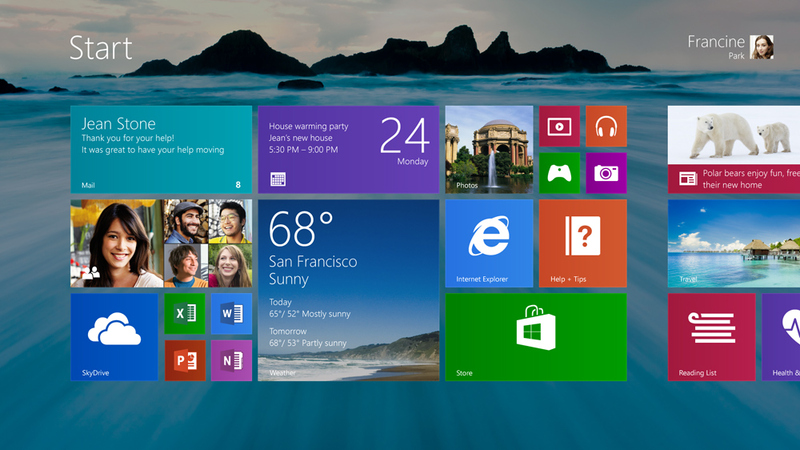 Now Windows 8.1 update 1 is getting ready to hit the market as soon as April. This is impressive because in the past, new Windows came with a gap of 2 to 3 years of gap. It is going to bring all the updates which were released since Windows 8.1, just like a service pack but it does add some new features to Windows 8.1 to make it better. So lot of people rushed to suggest that the start menu might be included in the update. But Microsoft has other plans as it wants Windows 8.x without a start menu all through it's lifetime. None of the screenshots released in the web show sign of the start menu. 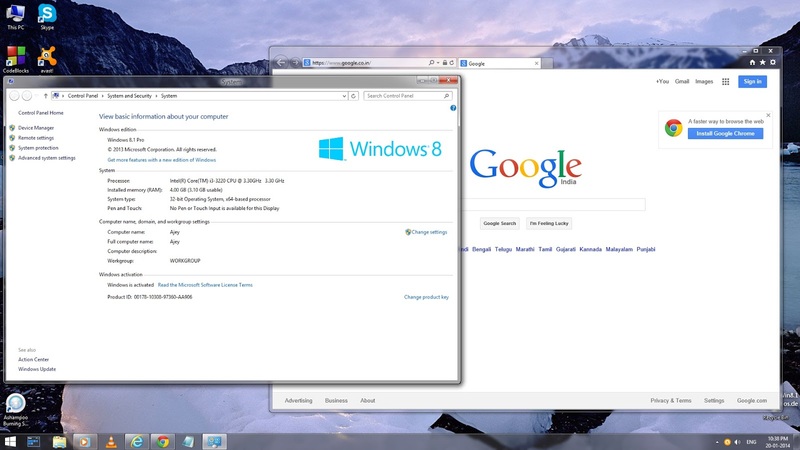 Windows 9 might come with a re-branded start menu,ability to run apps in Desktop,notification center and more. It turns out that Microsoft is actually planning to wait until Windows 9 to reintroduce the Start Menu, which would pretty much make sense, especially because the company is working to make this future release a lot more familiar for desktop users. 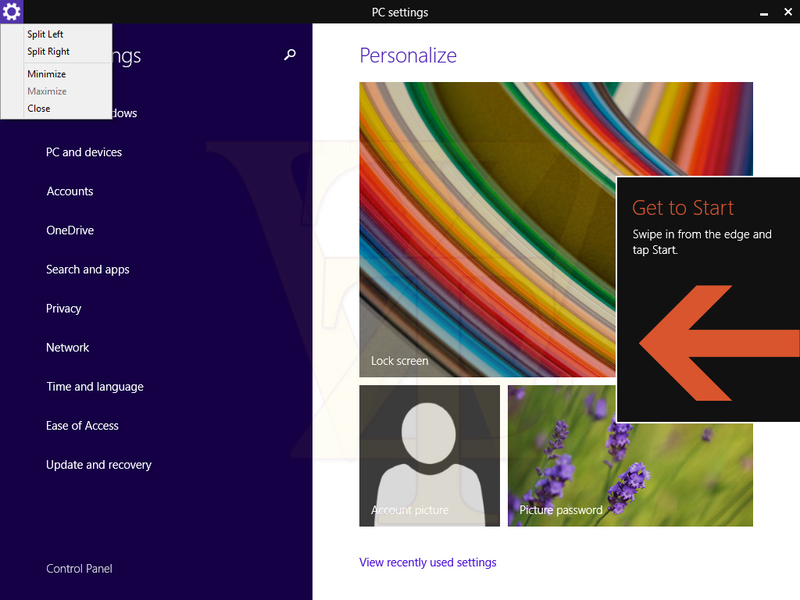 A new screenshot of Windows 8.1 update 1 has reached the web which shows no sign of any new features. 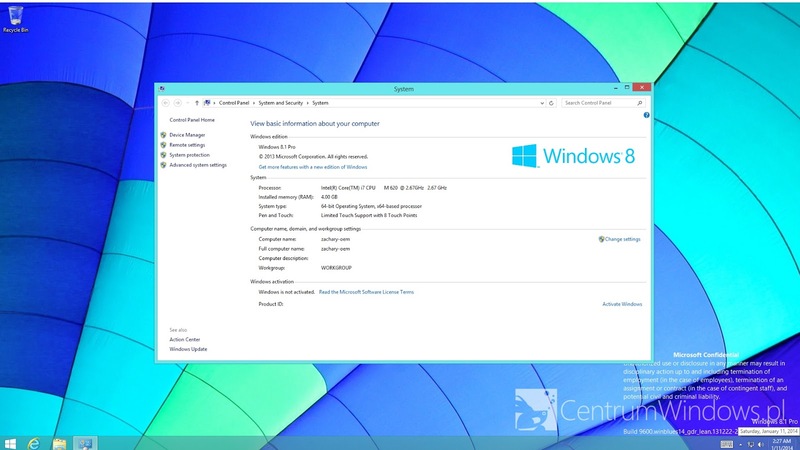 CentrumWindows has posted a picture of what is supposed to be the next major Windows update. 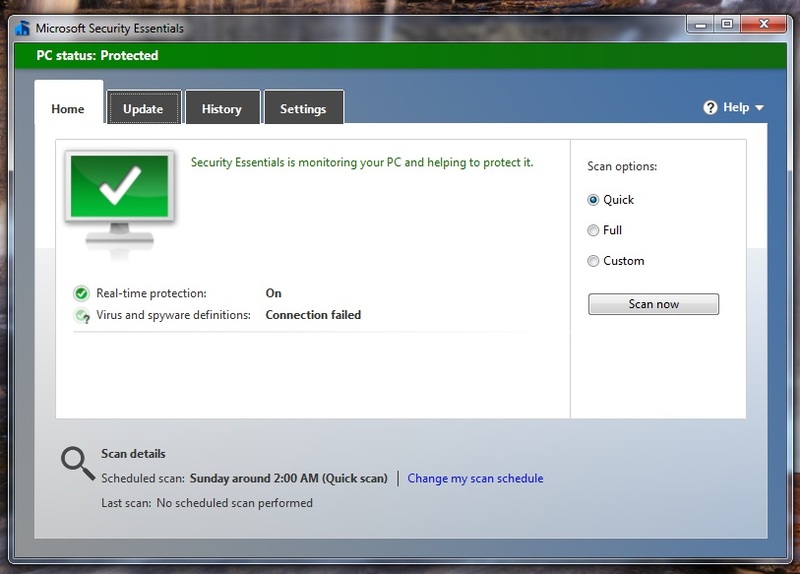 The screenshot follows the same visual as introduced in Windows 8.1. The start button is still there but who knows,it might launch mini-Start which might be a part of Windows 8.1 update 1. 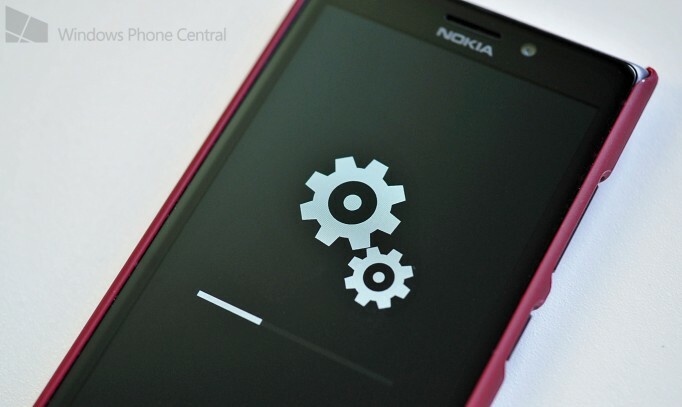 According to WZOR, who released plenty of accurate news about Windows 8.1 update 1. The update will be sent to partners this week. So there may be some leaks coming soon to the web. It's not sure that this version will be the stable one as Windows 8.1 update 1 will hit RTM sometime in March,a month before it is expected to be released.It is still not clear about the new features in the major Windows 8.1 update.Microsoft remains tight lipped in the next version of Windows. 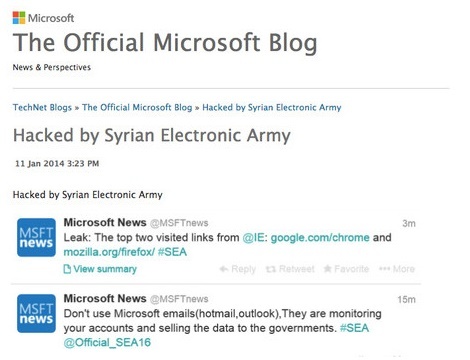 According to a Microsoft beta tester,Nawzil Najeeb. 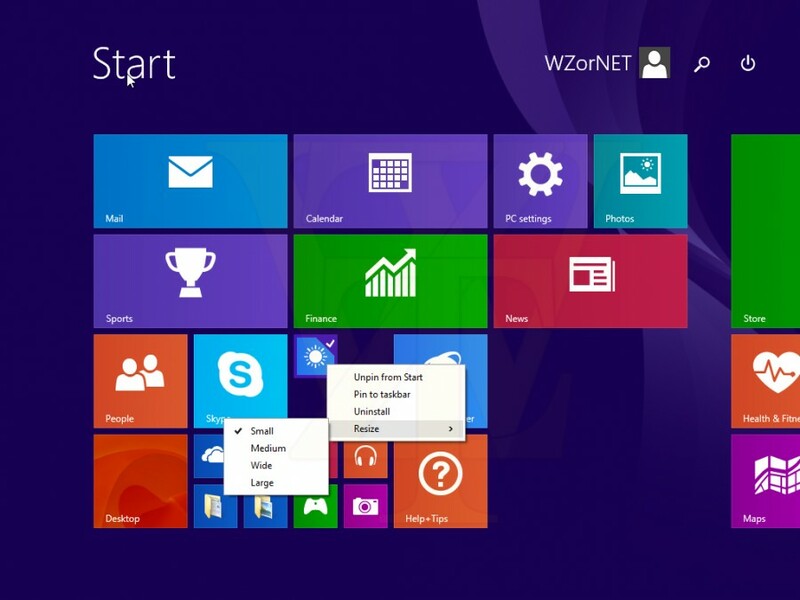 Microsoft has already built the mini-Start inside Windows 8.1 update 1 which is set to be released at BUILD on April. Mini Start is there in the current internal Windows builds. 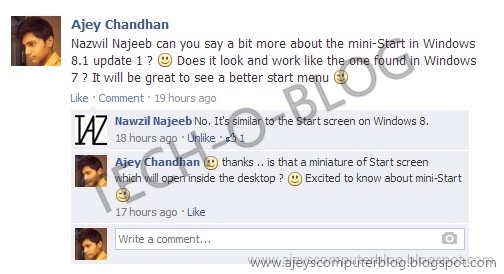 In a post in Windows 8 group in Facebook, he says that Mini-Start is already present in the current Windows builds. 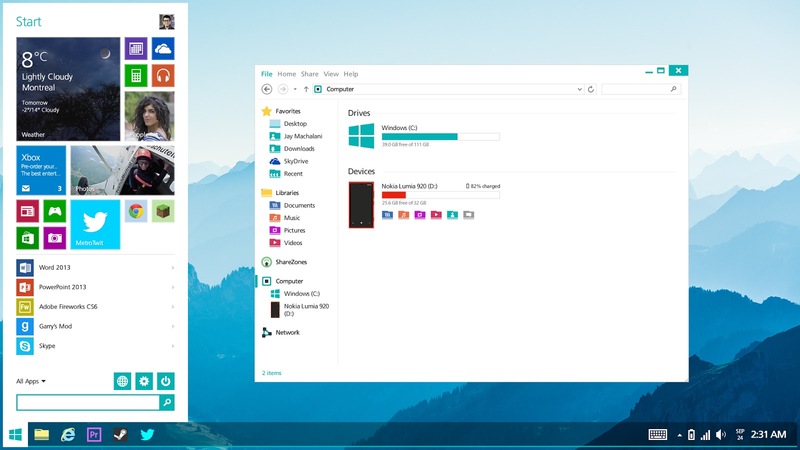 Also he added that it's like a Start Menu which means that Microsoft is very well set to release the much missed start menu in Windows 8.1 update 1. Also it will be the best time to do so as Windows XP will expire in April too. Many organizations ﻿will be looking out to find the best replacement for their Windows XP PC's. In the other post about Windows 8.1 update 1, I said about Windows 8.1 update 1 will have great improvements on the performance of the kernel, so low-profile computer / device capable of running up to 1GHz speed is the biggest highlight of this update. 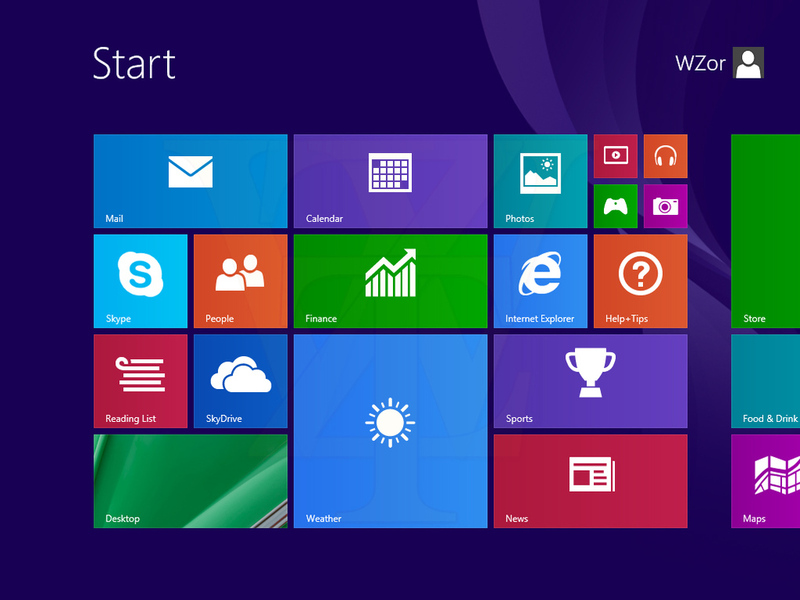 Microsoft is now trying to capitalize both on Desktop users and Metro-UI users with Windows 8.1 update 1. Let's see how far Windows 8.1 update 1 goes, remember that a product's success is completely based on how users see it. Microsoft is listening to the crowd and bringing the start menu in Windows once again ! That's great to here isn't it ? Chromebook which was introduced 2011 which ran Chrome OS which was just the chrome browser with small changes. It did not appeal anyone as it ran only chrome. But Google kept improving the Chrome OS with a six-week update cycle. It soon got a new Desktop with a taskbar which serves as place to pin and launch your favorite websites, much like Windows 7's taskbar. 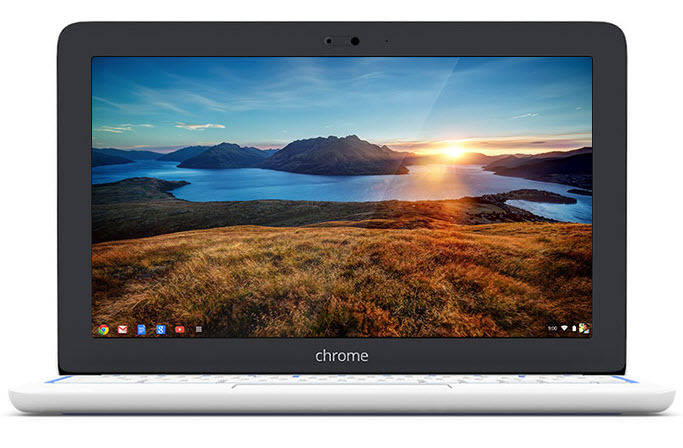 Chromebooks are so popular now that it represents about one-fifth of sales in commercial laptop channels. It has increased from virtually zero percent market share at the end of 2012. There are two Chromebooks in the top 3 in amazon's best selling laptop line up. Chromebooks can now run some of the offline apps like Gmail,quick office which makes running Chromebooks offline productive. Google is not stopping here, it looks that the number of Chromebooks will multiply in 2014. HP, the world's largest PC maker has put much emphasis on Chromebook by releasing two models. One a 11-inch and other a 14-inch model. Both of the models are selling like hotcakes. Thanks to the schools because most of the Chromebooks are sold to schools because they need just Gmail,Google Drive and other simple web apps. Dell is also planning to launch a new Chromebook this year. So expect Chromebook and Chrome OS improve rapidly in the coming years. Chrome is no just a browser, it's OS which depends and runs the web in the way it should be. Web Developers will love this because it makes everything simpler and easier.It is completely secure with updates rolling out each and every six weeks.Chromebooks have a great potential of becoming a threat to Windows and Mac OS. 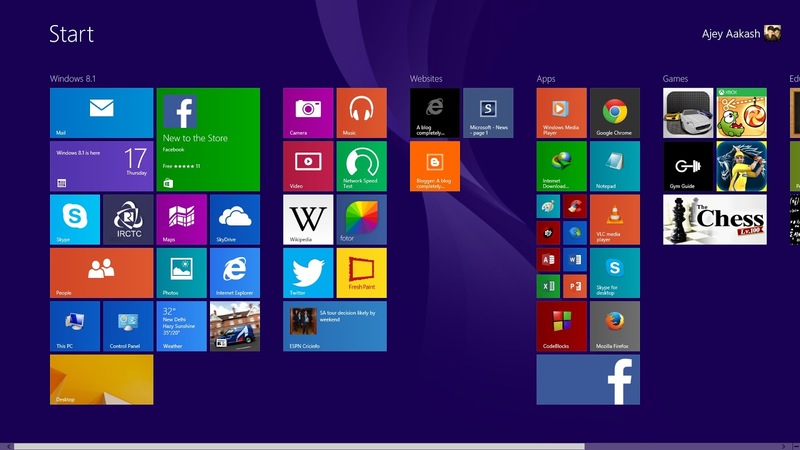 Since the launch of Windows 8.1, users have flooded into the new OS. Mostly the users are from Windows 8. Windows 8/8.1 totally accounts for 10.49% of the market share which has increased from 9.3% in last 30 days. This shows that Windows 8.1 has not done much to the trend set by Windows 8. Windows 8.x continues to steadily increase it's market share but not in a substantial way such as with Windows 7. As you can see, the chart shows that Windows 8.1 is getting popular every month. 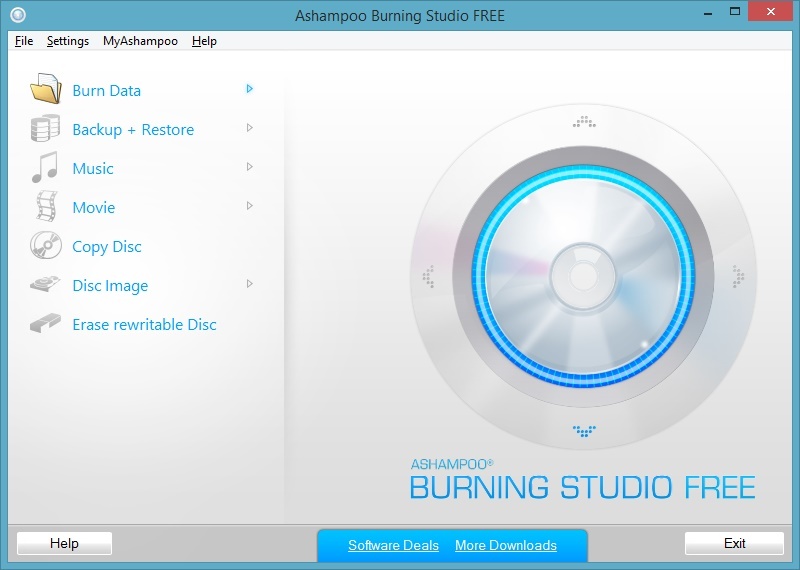 Thanks to it's free availability for Windows 8 users. Windows 8 users are more likely to move to the new OS as it provides lots of new features and improvements over Windows 8. Microsoft will be happy to see the adoption rate of Windows 8.1 from Windows 8 users but it does not mean that the market share of the OS is increasing at the same trend. Microsoft needs to do something as soon as possible to make their Modern platform a successful one. 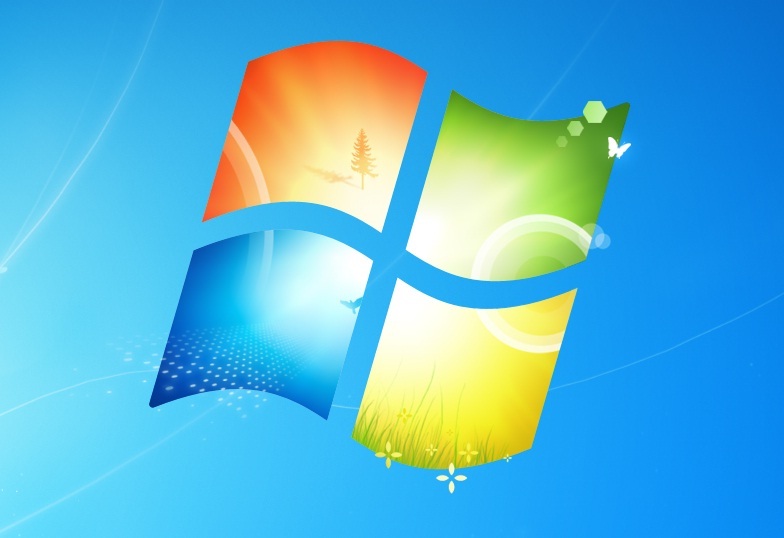 Windows 7 hold's it's head high as it is the most popular OS in the world running in about 48% of the PC's.